It's a great image for the youngsters in particular Pat and think the cool colour palette compliments perfectly. 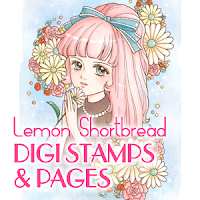 So prettyPat is your card and funky image! 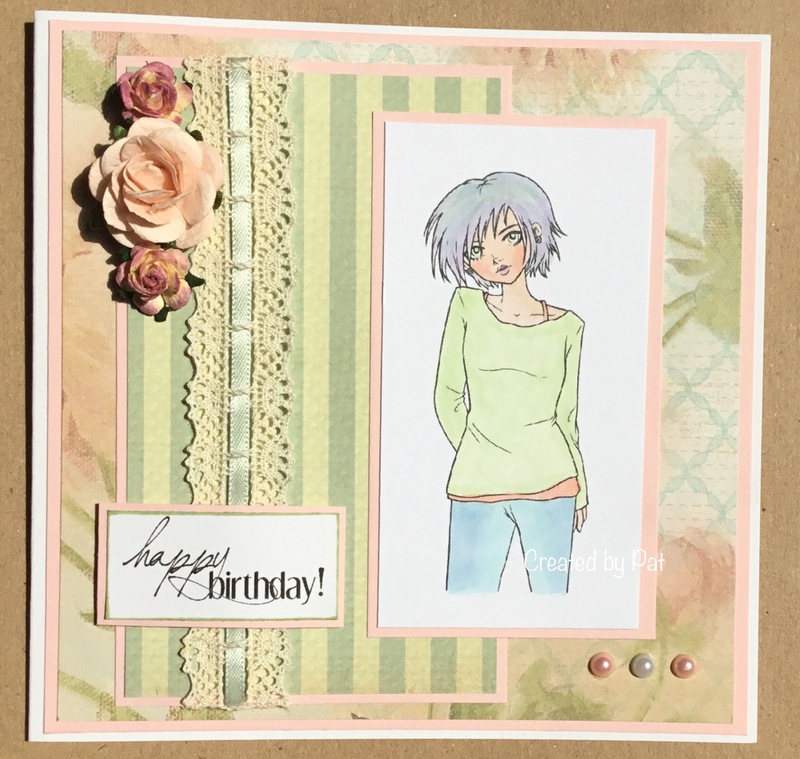 Love this image you've chosen Pat, she looks lovely coloured in the soft pastel shades, it gives her a wistful dreamy look and matches the pretty background papers perfectly. 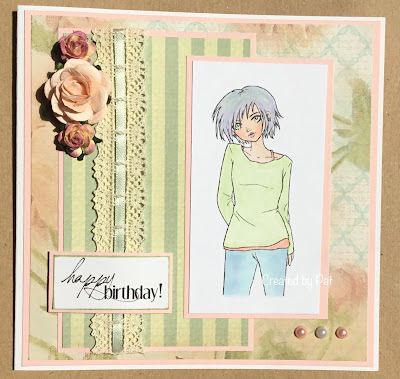 A beautiful card Pat, a fabulous image and lovely design - so pretty.